Rotary Copou. The youngest club of Iasi, founded in 2010, aims to open the box creativity to create a new perspective on Rotary mission. 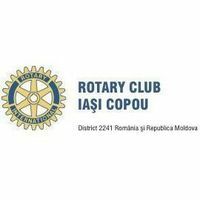 Copou Rotary Club members, mostly very young graduates of prestigious schools in Romania and worldwide, will promote academic, cultural and humanitarian projects in our region.